Pennsylvania Governor Tom Corbett promised education reform when he took the position in January. The voucher service plans to give taxpayer funded scholarships to failing, low income students enrolled in Pennsylvania’s 140 worst schools that will pay for their enrollment in private or charter school in the area. The Pennsylvania State Education Association strongly opposes this section of the bill. The idea is extremely unpopular among many interest groups because it redirects taxpayer funding from the failing public schools to private schools. The first year of the voucher program is estimated to cost $21 million. One of Corbett’s goals was to create more charter schools in Pennsylvania. A section of his bill plans to allow for the creation of more charter schools by giving the state the power to grant charters, but under stricter regulations than are currently being used. 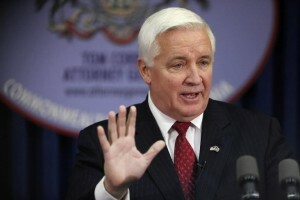 Corbett also stated that he wanted to modernize the teacher evaluation program. “I realize that there are many good teachers in Pennsylvania.” he said. However the bill aims to get rid of the teachers that are just slipping by or those who haven’t been properly evaluated in recent years. Finally, Corbett plans to increase funding to the Educational Improvement Tax Credit program. This will give more tax breaks to groups or companies that donate to public or private school programs.